The battle over Wikipedia's use of images from a British art gallery's website has intensified. The high-resolution images were uploaded by Wikipedia volunteer Derrick Coetzee. Now Erik Moeller, the deputy director of the Wikimedia Foundation which runs the online encyclopaedia, has laid out the organisation's stance in a blog post. He said most observers would think the two sides should be "allies not adversaries" and that museums and other cultural institutions should not pursue extra revenue at the expense of limiting public access to their material. "It is hard to see a plausible argument that excluding public domain content from a free, non-profit encyclopaedia serves any public interest whatsoever," he wrote. Another Wikipedia volunteer David Gerard has blogged about the row, claiming that the National Portrait Gallery makes only £10-15,000 a year from web licensing, less than it makes "selling food in the cafe". It denies claims that it has been "locking up and limiting access to educational materials", saying that it has been a pioneer in making its material available. It has worked for the last five years toward the target of getting half of its collection online by 2009. "We will be able to achieve this," said the gallery's statement, "as a result of self-generated income." The gallery says that while it only makes a limited revenue from web licensing, it earns far more from the reproduction of its images in books and magazines - £339,000 in the last year. The gallery has claimed that Derrick Coetzee's actions have breached English copyright laws, which protect copies of original works even when they themselves are out of copyright. The National Portrait Gallery now says it only sent a legal letter to Derrick Coetzee after the Wikimedia Foundation failed to respond to requests to discuss the issue. But it says contact has now been made and remains hopeful that a dialogue will be possible. 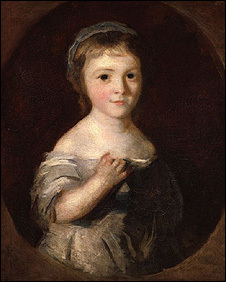 A spokeswoman also said that the two German archives mentioned in Erik Moeller's blog had in fact supplied medium resolution images to Wikipedia, and insisted that the National Portrait Gallery had been willing to offer similar material to Wikipedia. The gallery also explained how Derrick Coetzee was able to obtain the high resolution files from its site. They were made available to visitors using a "Zoomify" feature, which works by allowing several high resolution files to be seen all together. It claims Mr Coetzee used special software to "de-scramble" the high-resolution tiles, allowing the whole portrait to be seen in high resolution. 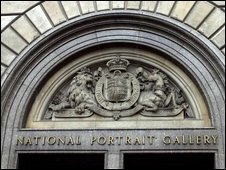 The British Association of Picture Libraries and Agencies has backed the National Portrait Gallery's stance. "If owners of out of copyright material are not going to have the derivative works they have created protected, which will result in anyone being able to use then for free, they will cease to invest in the digitisation of works, and everyone will be the poorer," it wrote in an email to its members. "They honestly think the paintings belong to them rather than to us," he wrote.